How to prepare Maharashtrian Style Instant Puran in a pressure cooker. 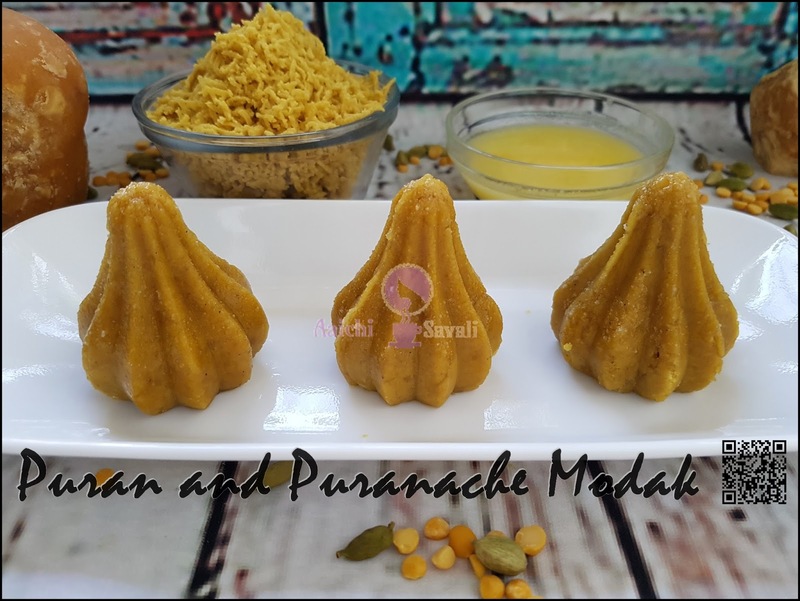 Puranache modak, these are appetizing and very filling too, one would be enough to fill you up. Modak is a sweet dumpling which is commonly prepared in Indian houses as a naivedya. It is called modak in Konkani, Marathi, and Gujarati. When the filling consists of chana dal and jaggery, it is known as Puran. Puran stuffed modaks are known as Puranache Modak.The dumpling can be fried or steamed. Today I have prepared Modak by using Puran only, they are not steamed or fried. So let's see the procedure. 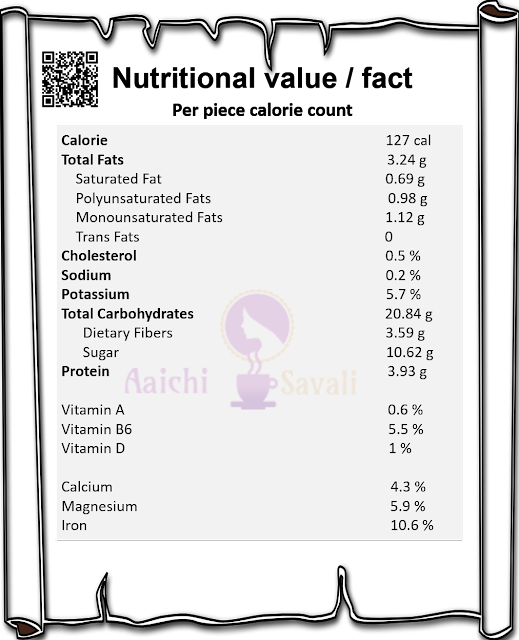 Each Modak Contains 127 kcal. mix well and keep aside for 15 to 20 minutes. 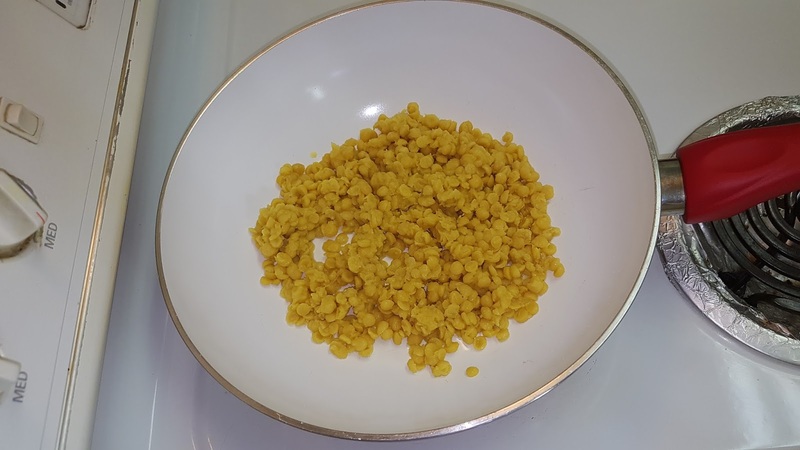 Combine the dal with 3 cups of water in a pressure cooker, add ½ tbsp oil, ½ tsp turmeric powder and mix well and pressure cook for 4 to 5 whistles. Allow the steam to escape before opening the lid. Remove excess of water from dal. 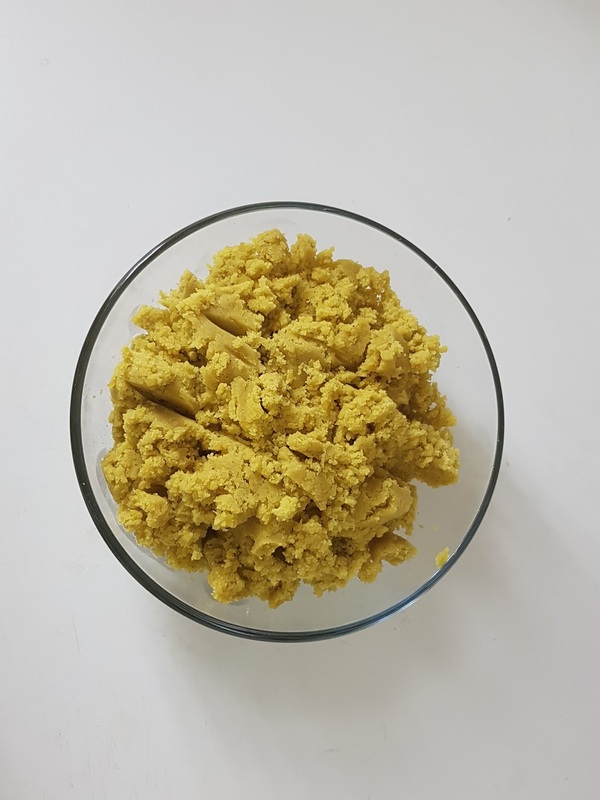 ghee / oil in a broad non-stick pan, add cooked chana dal and jaggery, mix well and cook on a medium flame for 10 to 12 minutes or till the mixture thickens, while stirring continuously and mashing at regular intervals. 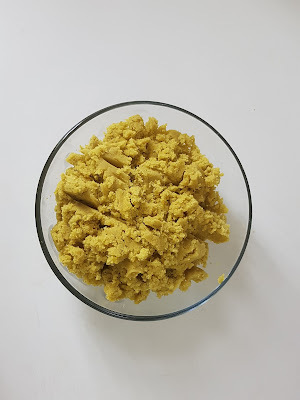 Grease the modak mold with ghee, add the made puran into it, form the shape. Bring out of the modak mold. Same way, do all the modaks. Once all the modaks are done, place them to the serving plate. 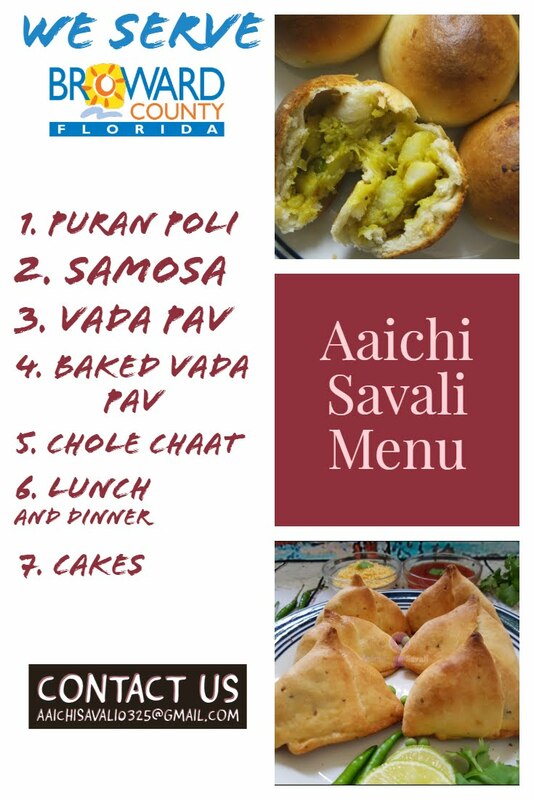 everyone's favorite puranache modaks are ready to served. Enjoy!!! 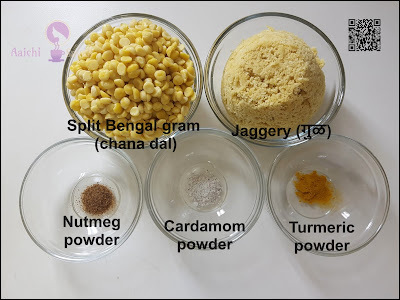 You can also use toover dal (turdal) to prepare puran and modak. 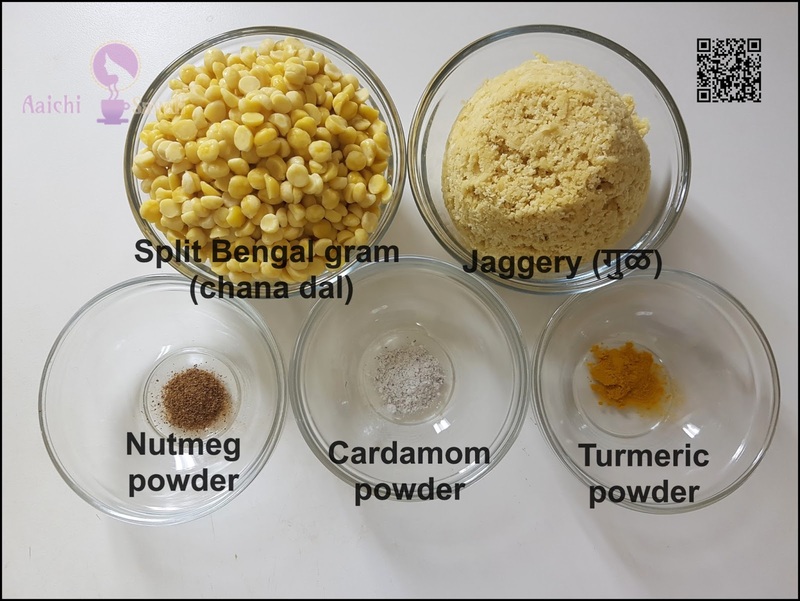 If the chana dal and jaggery or sugar mixture isn't uniform, first grind it to make a smooth filling and then dry it in a pan. 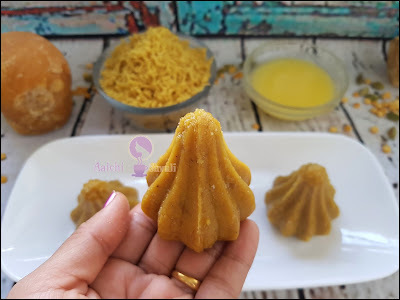 Per serving contains 127 calories, along with carbohydrates - 20.84 g, dietary fibers - 3.59 g, fats - 3.24 g, proteins - 3.93 g.
It is good to eat Modak as a dessert. I love your health benefits section!! Good to you liked it. You are most welcome d Nambiar.